The goal of this experiment is to measure the specific storage Ss of a balloon, which simulates aquifer elasticity. 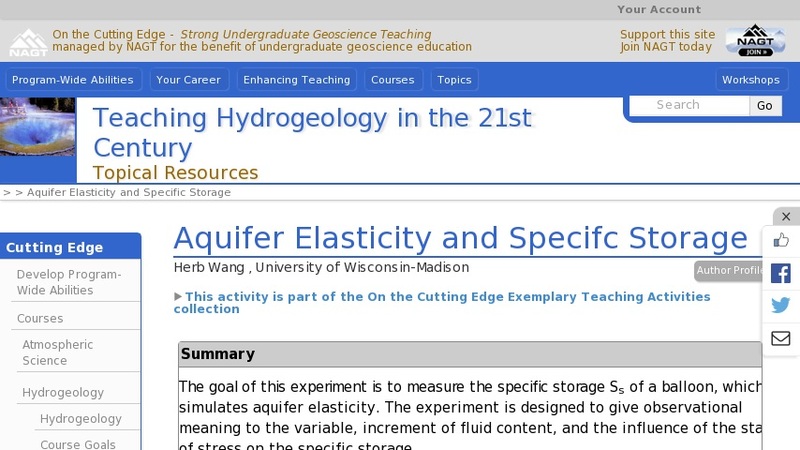 The experiment is designed to give observational meaning to the variable, increment of fluid content, and the influence of the state of stress on the specific storage. Increment of fluid content is the poroelastic variable defined as the amount of water added to storage per unit bulk volume. It is analogous to quantity of heat added to a unit volume of a material. Specific storage can then be expressed rigorously as the ratio of increment of fluid content divided by the change in head with specified external stress or strain conditions on the REV.